Spell-binding jams that beg you to dance and dance. 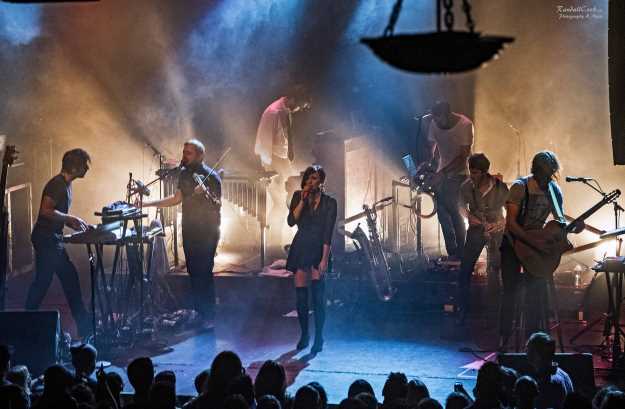 CARAVAN PALACE "blew the roof" off of the Phoenix Concert Theatre last night, performing as part of the TD Toronto Jazz Festival. The seven-member virtuosic electro-swing ensemble pushes the boundaries of jazz with an inventive mesh of music - even implementing bass drops for maximum "danceability". Performing from a repertoire spanning three successful studio albums, vocalist Zoé Colotis showed off her powerful voice - from quick scatting in "Jolie Coquine" to full belting in "Brotherswing" - even more impressive when fueled by adrenaline in live performance. Colotis gives the band their own opportunities to shine, with the instrumentalists trading off on epic solos. Camille Chapelière is a reed wizard, first on the clarinet and then later when transitioning to his rumbling baritone saxophone in numbers like "Midnight". The band is such a cohesive unit, every member contributes equally to produce the unique, addictive sound. One of the concert's musical highlights was CARAVAN PALACE's new single, "Black Betty" - the fast-paced beat is catchy, and they know it - asking the audience to sing along. The love between the crowd and the band was palpable, producing an adorable moment at the end when crowd members started making hearts with their hands. Colotis remarked, "Oh what's that? ", copying the motion with her hands and being joined by the entire crowd in a moment of mutual appreciation. 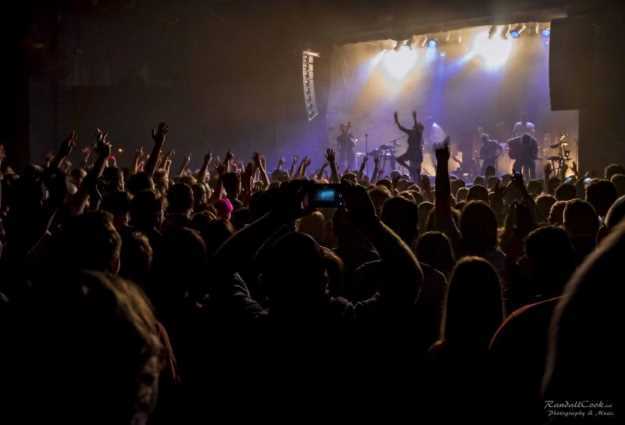 Other than a few moments of bonding with neighbours while reminding people about concert etiquette (you can't show up 5 minutes before a standing concert and expect to dance at the front), the concert was an incredible celebration of music. CARAVAN PALACE's North American Tour includes stops at the TD Ottawa Jazz Festival TONIGHT, June 27, 2017 at 8:30pm and the Montreal Jazz Festival on Thursday, June 29, 2017 at 8:30pm. I'm telling you now - you won't want to miss them. My hands are still red from clapping.